Layers of zucchini, carrots, peas, eggplant, peppers, onions, tomatoes & potatoes, topped with béchamel sauce. 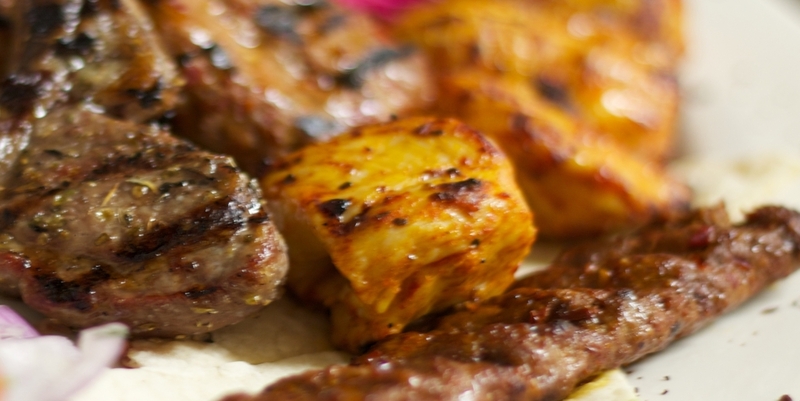 Meat sampler with Doner Kebabı, chicken şiş kebabs. , Dana şiş. Semolina cake soaked in a lemon and honey syrup.